Elasticsearch Node Types Nodes can play one or more roles, for workload isolation and scaling Elasticsearch • – • • Coordinating (X) • Machine Learning (2+) • Route requests, handle search reduce phase, distribute bulk indexing All nodes function as coordinating nodes Ingest Nodes – Ingest (X) Hold indexed data and perform data related operations Differentiated Hot and Warm Data nodes can be used Coordinating Nodes – – Data – Warm (X) Control the cluster, requires a minimum of 3, one is active at any given time Data Nodes – – Master (3) Data – Hot (X) Master Nodes Use ingest pipelines to transform and enrich before indexing Machine Learning Nodes – Run machine learning jobs X-Pack 10 All product names, logos, and brands are property of their respective owners and are used only for identification purposes. This is not an endorsement. 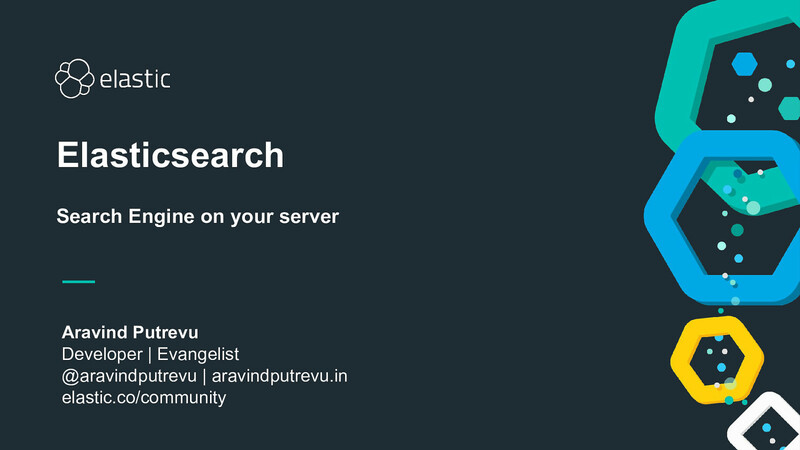 View Elasticsearch - You know, for Search on Notist.